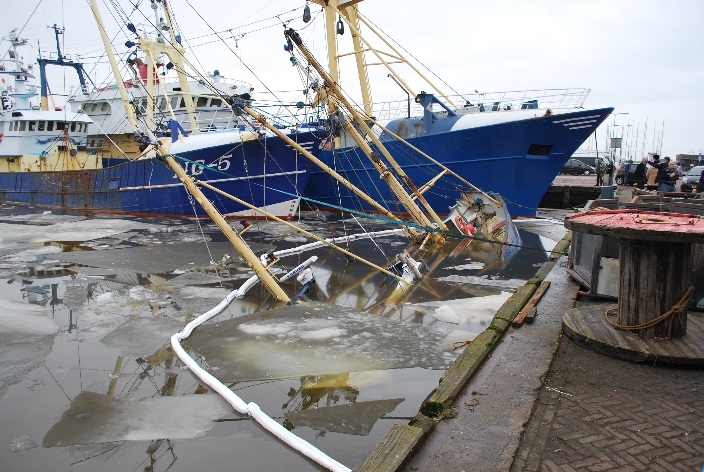 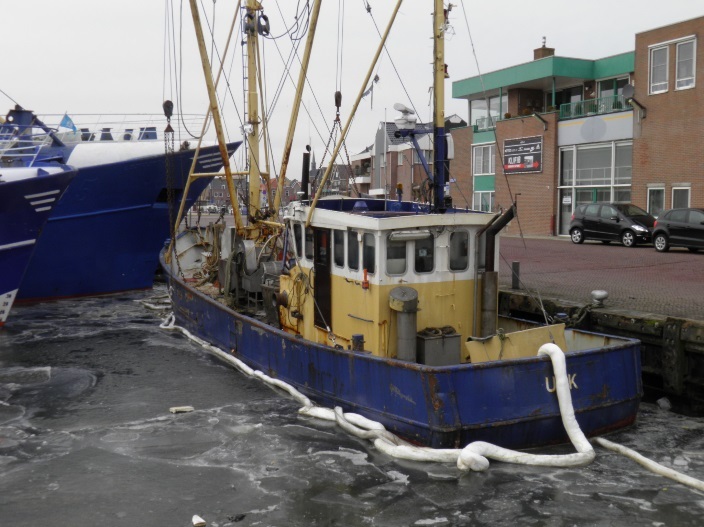 Due to the freezing cold weather in February several vessels were damaged, amongst which the Dutch shrimp cutter UK 249 in our home port Urk. 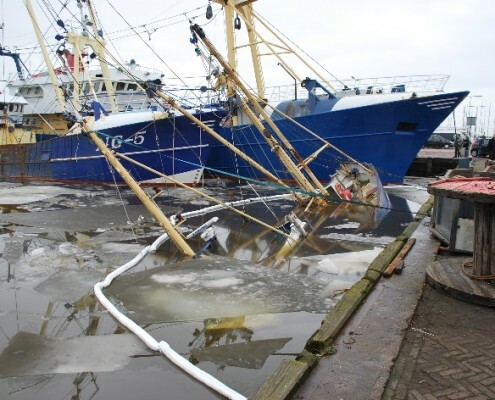 A closing valve of the moored vessel, 18 m long x 4 m wide, broke due to the expanding frozen water. 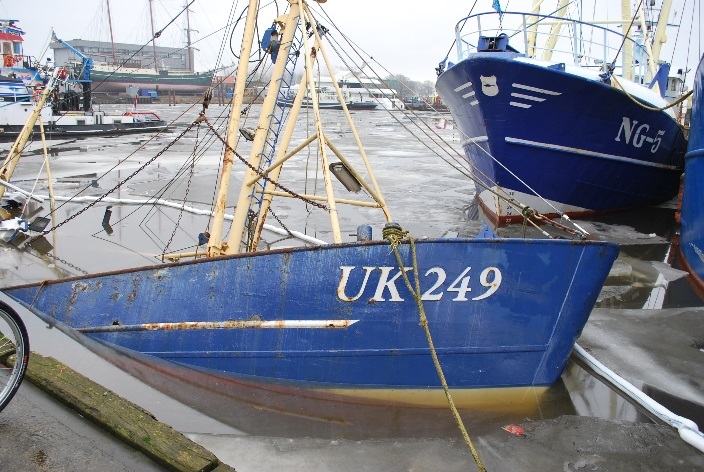 After thaw set in, the vessel took in water and capsized alongside the quay. 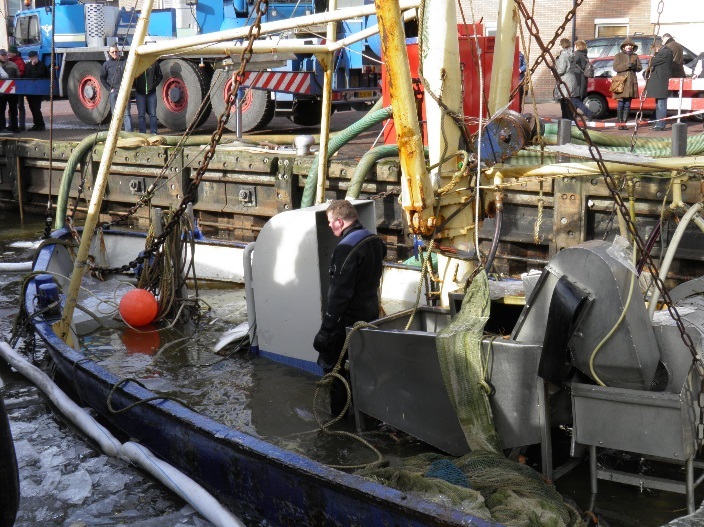 After consulting the local authorities DUC Marine Group was awarded the salvage contract by the insurers. 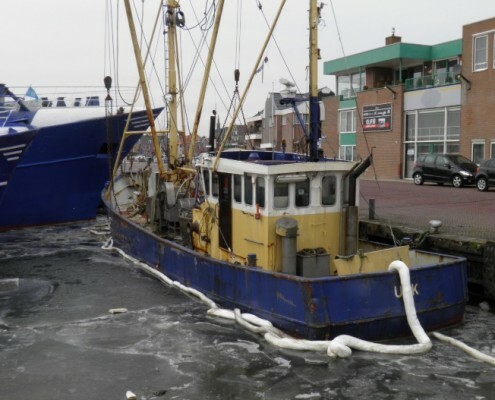 DUC used her salvage vessels RAM and REIGER. 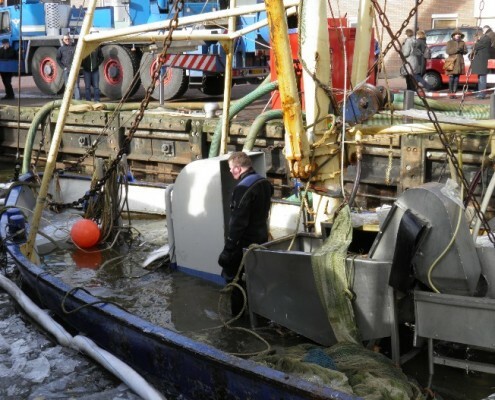 After the ship was lifted to the waterline the salvers pumped the water out of the hull. 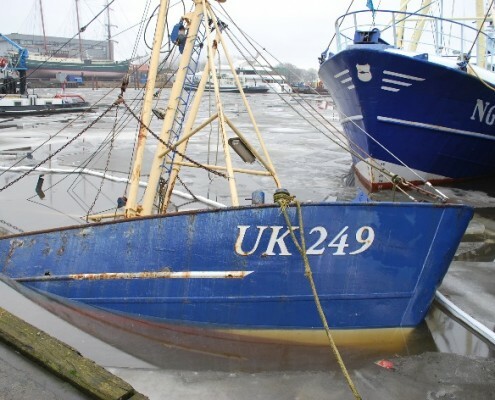 The engine was preserved to secure some value for sale.